Battle of the Neretva, also known as the Battle for the wounded, is a common name for a series of battles in the Neretva valley between Yugoslav Partisans and the Axis forces during February and March 1943. For the Germans, this was the Operation Weiss II, but in Yugoslav historiography, this was the culmination of the 4th Enemy Offensive. During the Axis Operation Weiss I, the Partisans' leadership decided to initiate the offensive towards the valley of the Neretva river. On February 8th, Tito presented a plan of the offensive at a conference with the staff of three elite divisions: the 1st Proletarian Division, the 2nd Proletarian Division, and the 3rd Shock Division. 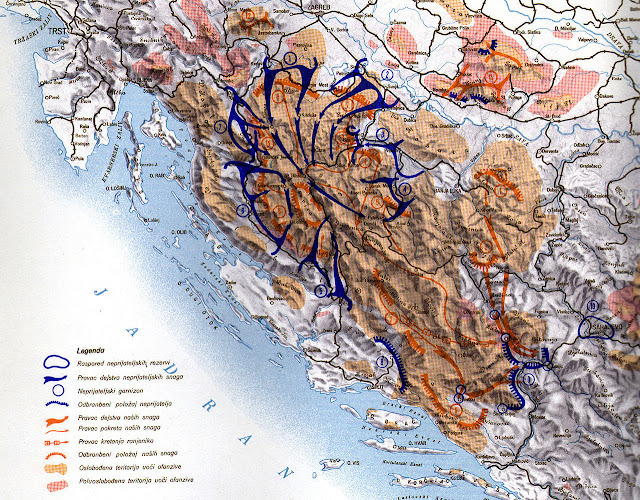 Operation Case White (German: Fall Weiss), also known as the Fourth Enemy Offensive, was a combined Axis strategic offensive launched against Yugoslav Partisans throughout occupied Yugoslavia during the World War II. The Axis launched this offensive in order to destroy the Partisan movement and secure the territory that the Allies might invade. A meeting was held on January 2nd and 3rd 1943 in Rome. This meeting was attended by the Chief of the Italian Supreme Command Marshal Cavallero, the German Supreme Commander for Southeast General Alexander Löhr and the Commander of the 2nd Italian Army General Roatta. They adopted the general idea of the performance of winter operations against People's Liberation Army (the official name for the Partisan movement in Yugoslavia). 1. The film "Battle of Neretva" directed by Veljko Bulajic from 1969. 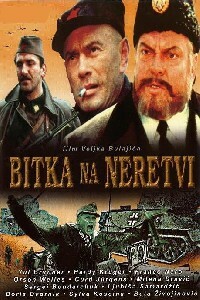 It is considered the best and the most expensive Yugoslav war movie. The movie was sponsored by the government of Yugoslavia,(which amounted to between 5 and 12 million dollars). financial support for the film was provided by the 58 state-owned companies. 2. Poster for the English version of the movie was made by Pablo Picasso. According to Bulajic claims, Picasso did not ask for a fee, he just wanted a box of Yugoslavia's best wines. 3. Yul Brynner and Orson Welles for the first time in the same movie. This was the first and also, the last movie in wich July Brynner and Orson Welles performed together. Briner interpreted partisan Vladimir Smirnov. This was the first and only movie together July Brynner and Orson Welles. Briner interpreted partisan Vladimir Smirnov called Vlada Rus and Welles played Chetnik commander - Senator.